the happiness of the people with dementia and their carers. Essential points of our activities are the following. We are so proud of abiding by these principles for 30 years. Last year, AAJ established these principles and the headquarter and 44 chapter offices put up plates on which the principles were engraved. At the beginning of the year I pledge that AAJ will continue to push our way forward on the track straight with all members and all of the people with dementia. *I have been taking care of my wife for ten years since her diagnosis of early dementia. The most serious problem for me now is financial. I demand for a social system which secures the lives of the people with early dementia. The government should have far-sighted policies. *14 years have passed since my wife was diagnosed with Alzheimer’s disease. I think such patients can live long unless other health problems affect them. Therefore, the physical and financial burden of the carers will get longer and heavier. I am always anxious about our household economy. 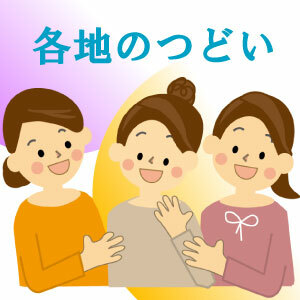 *I am an instructor of training of dementia care for childen. Every time I have sessions at schools they direct a serious look at me. I am impressed by their tender-heartedness. I suggest all schools introduce dementia care training in the social welfare education. When I make a point of urging the upgrading and expanding of social security, everyone asks me about the necessary financial resources. I think the government has the ultimate responsibility for securing the resources for social security. If we rely on our government, we can agree with the burden-sharing for social security. All Japanese are guaranteed the security of their lives by the Constitution. But there are many people who cannot use services because they cannot afford the cost. Today, we seem to live in a society where money is a valid passport to anywhere. And another point is the advancement of professional caregivers’ working conditions. The average monthly income of professional caregivers is 110,000 yen lower than the average of all industries. I believe that social security should create a society where both people who need care and those who support them can live without anxiety. Take heart and take care till next month!